Your Skin Doesn't Have to Go Thirsty this Winter. When winter zaps moisture out of the air, it affects your skin. As Jack Frost nips at your nose, and hands, elbows, feet, etc., you'll be ready by hydrating. Doctors recommend that women drink an average of 64 ounces of water per day. Here's a hint, if you can't remember your last trip to the bathroom, you need to drink more water. Your skin will suffer from insufficient amounts of water too. When we drink water, it hydrates our most vital organs first, which leaves skin pretty low on the totem pole. So get your ounces in, especially in the winter when we can't count on humidity in the air to supplement our skin's hydration. Lather Up: If you're used to applying a skin moisturizer every day, you're on the right track, but once isn't going to cut it during the winter months. 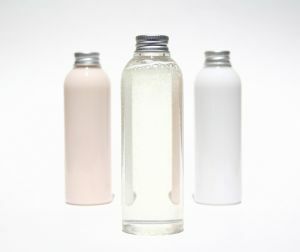 Keep a bottle of lotion next to your hand soap dispenser so you can show your hands some love after every wash. Plan on coating your skin in that protective layer of moisture after your shower too. Showering, strangely enough, can remove moisture from your skin, especially if your soap does not contain moisture-rich ingredients. Here's a tip your toes will love: Apply plenty of lotion to your feet and immediately slip on some wool socks. The closely-knit fibers will ensure the moisture is kept inside.